This mobile cubic container with drawers fits perfectly under the Moll Champion Desk. Built in rolling casters make it easy to move the Storage Cube around your room. We bought this to go with our child's Moll desk, and it is not as useful as I had hoped it would be. 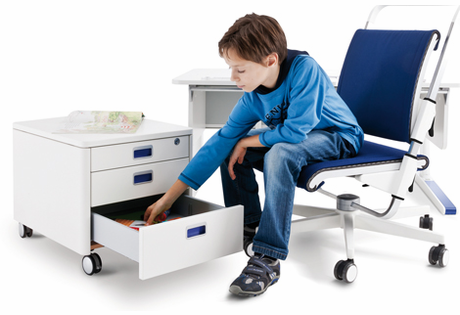 It definitely provides a nice place for an adult to sit when working at the desk with our child, however, it is less useful for storage. 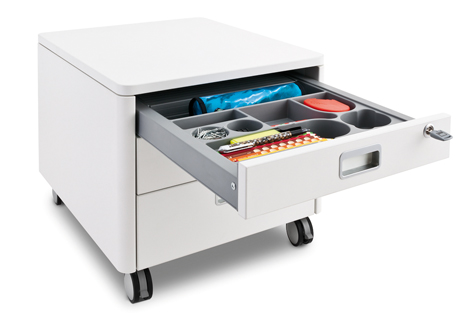 The storage tray in the Moll Desk is so wide, that it has plenty of space for pencils, glue, etc. There isn't really much left over to store in the side unit and the drawers are shallow and hard to open. I would recommend it, if you know you have a lot of storage needs or want an additional place to sit, otherwise it is kind of extra. 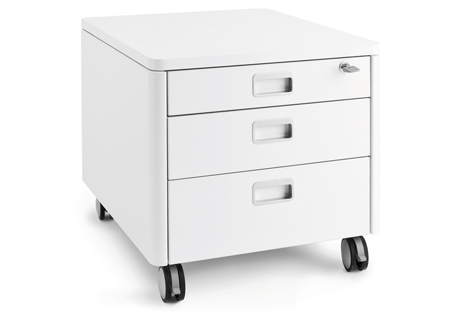 Excellent storage, very comfortable to use with a champion desk. I highly recommend this container. 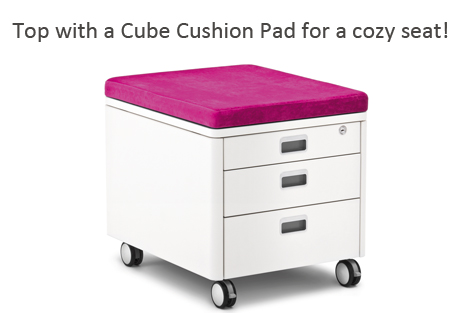 We wanted something that could double as a kid's chair and as storage in our little home office. 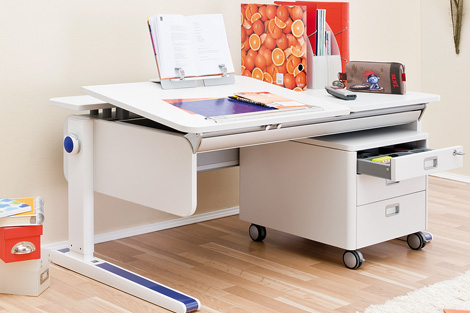 This is well-built, stylish, and easy to maneuver. 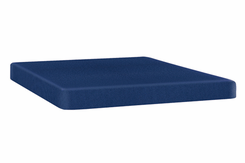 The cushion is very comfortable and my two children (8 and 4) can even both fit on it sideways. I find myself sitting on it instead of a regular chair at times! We purchased this product over a year ago for our now 6year old son. He and I both love the cube. The extra drawer space is great for his supplies. And, I love to sit on the cube next to his desk when helping with homework. I would recommend this produce. View and Download Champion Storage Cube Assembly Instructions PDF.